and under 5s are free! Sign up by 30 November and you will automatically be entered into our prize draw. Click here to find out more. 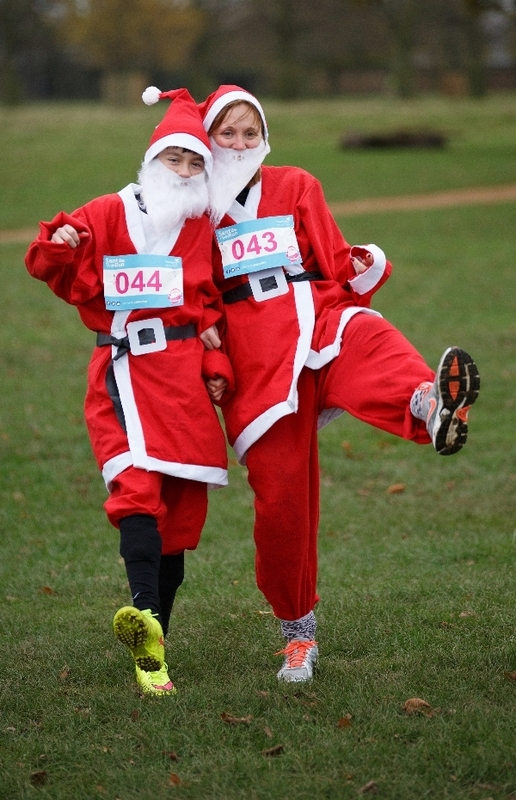 Launch yourself into the festive season by joining us for our 5k Santa Fun Runs in Bushy Park, we have two dates to choose from. The meeting point at Bushy Park is next to the Diana (Arethusa) Fountain car park, nearest to the Hampton Court Gate.The 2018 Santa Fun Runs promise a festive treat for everyone, whether you choose to run, jog, walk or just stroll! Join one of our runs and help us spread the Christmas spirit again this year. Santa Fun Run is a family friendly event so feel free to bring the whole family along including the dog and pushchair! Running with family, friends or colleagues can add even more fun to our Santa Fun Run… so why not round a few people up and sign up together? The more the merrier! It costs £9.9 million each year to provide free, high quality specialist end of life care to tens of thousands of people with life threatening illnesses. We rely on wonderful supporters like you to help us to generate thousands of pounds; by joining the Santa Fun Run this year, you will help us to continue to provide our care and support free of charge in the community. The money you, your friends and family raise really makes a difference – no less so during Christmas. Your fundraising could help sponsor a nurse to visit a patient in their home, making sure the family can focus on celebrating the special time with their loved ones. Click here or below to find out more and to sign-up. 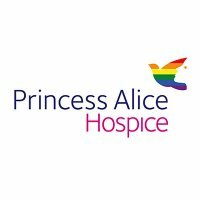 Princess Alice Hospice is a local charity dedicated to providing free, high-quality compassionate care and support for patients, their families and carers. We care for people with cancer and other illnesses living in a large part of Surrey, south west London and Middlesex. Our team of specialist nurses, doctors, therapists, social workers and bereavement volunteers work at our hospice in Esher, and with families at home. They are all experts in end of life care who put compassion and respect at the heart of everything they do. Keeping our care and support free costs us £9.5 million a year. Will you help us find it? At Princess Alice Hospice, we want to make sure as much of our income as possible is spent on providing specialist care and support for our patients and their families and carers.